The enhancement of Williamson Square and the world famous Cavern Quarter forms part of Liverpool City Council’s ‘City Centre Movement & Public Realm Strategy’. The strategy aims to make the centre a safe, clean, attractive and easy-to-use environment, whether people are travelling in or around the city on foot, by bus, rail, car or cycling. The £73 million Movement programme is planned to be completed by 2008 when Liverpool is crowned the European Capital of Culture. It will also improve access to the major developments planned to celebrate this accolade and herald the regeneration of this renowned city. Williamson Square and the Cavern Quarter are seen as the flagships for the programme as they are the first areas to be enhanced under the scheme. 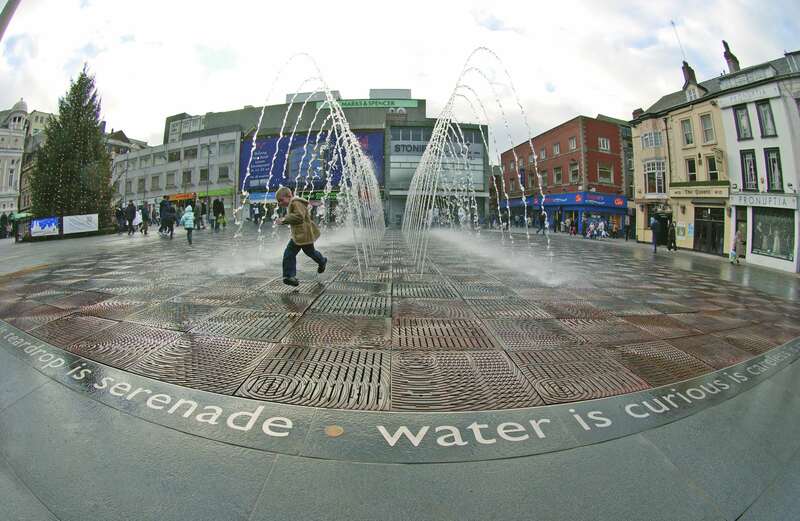 Williamson Square is at the heart of the busy shopping district and now boasts a spectacular water feature edged by an original poem written by home-grown award-winning poet, playwright, broadcaster and children’s author Roger McGough. The transformation has seen the space change from just another shopping thoroughfare to a unique space with provision to hold outdoor exhibitions and events. The challenges set by the Council were exacting, as the surfaces had to withstand the rigours of time, four years prior to the event, and hold their original virtues well into the future. This meant a very simple, attractive, yet robust high quality solution had to be found. Led by project architects Camlin Lonsdale, a rigorous search began to find the right balance. Working closely with the UK’s leading hard landscaping transformation company, Marshalls plc, the desired solution was found in its granite products. Due to its comprehensive granite range Marshalls was able to offer a blend of colour options, scope in product sizes and logistical expertise to complete both ‘Phase One’ projects. 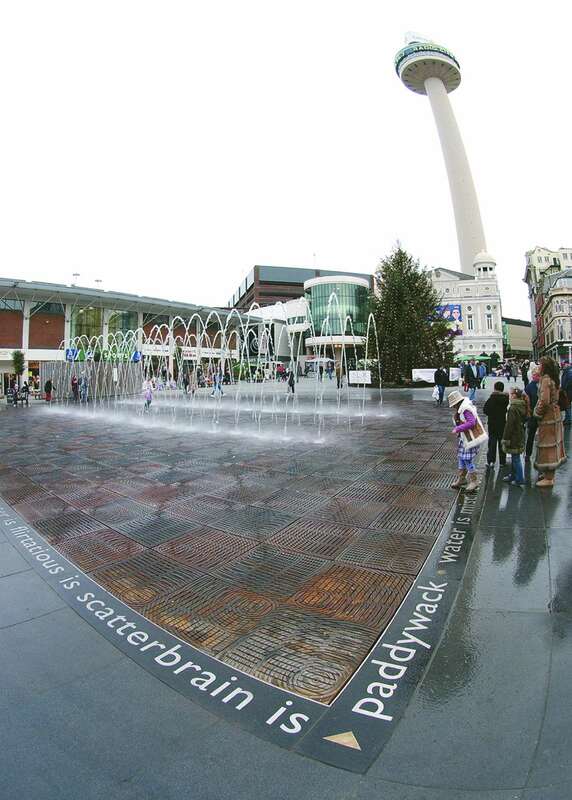 This also included a bespoke poem to be handcrafted in granite channels with stainless steel lettering around the new, spectacular Williamson Square fountain. Due to a lot of the areas having a multi-functional use, whereby access would be needed for heavy vehicles to deliver to businesses, as well as large volumes of pedestrians in commercial business hours, granite setts were mainly employed. This brought numerous benefits to the project. Forming an extremely hardwearing surface when laid, the setts transfer weight down through to the sub-base, allowing the material to maintain its integrity even when subjected to heavy vehicle movements – a key factor when considering the numbers to use the space. Being in the heart of the City it was also a practical application for service maintenance operations as the setts allow precise areas to be uplifted and re-laid, as new, with little or no inconvenience. This also helped considerably during the installation process as only small sections were installed in manageable stages to alleviate disruption. In conjunction with this working practice, Marshalls held all the stock and supplied the granite in mixed palates of the various colours and sizes, for delivery on a ‘just in time’ basis ready to lay, combating the major storage issues at the site. As the next stages of the Movement Strategy begin in earnest, Liverpool can be proud of what it already has achieved in the initial stages. It has taken a practical, long-term view which will bode well for the future development of the City, benefiting not only its people now, but for the waiting world to come.